While the Food and Drug Administration has spent decades regulating medicine and pharmaceuticals, the agency is changing with the times. To keep pace with emerging technologies, the FDA now regulates everything from vape pens and wearables to other health-related Internet of Things devices. That might seem like a leap for the long-standing agency, but it has a history of examining, testing, and approving an array of devices that have medical uses (or seem like they might). Considering how much health innovation is bubbling up from the technology world, it’s no shock that the FDA is venturing into uncharted territory. As cutting-edge companies pilot digital health innovations at an exponential rate, health providers are funding tech startups much like Silicon Valley giants. Cedars-Sinai, for example, partnered with Techstars to create an incubator that pairs tech startups with key decision makers in hospitals and medical centers. Similarly, Massachusetts General Hospital has launched a program to connect startups, technologists, researchers, and universities with the healthcare world. These prestigious hospitals are working to accelerate tech development because they have seen the benefits firsthand. 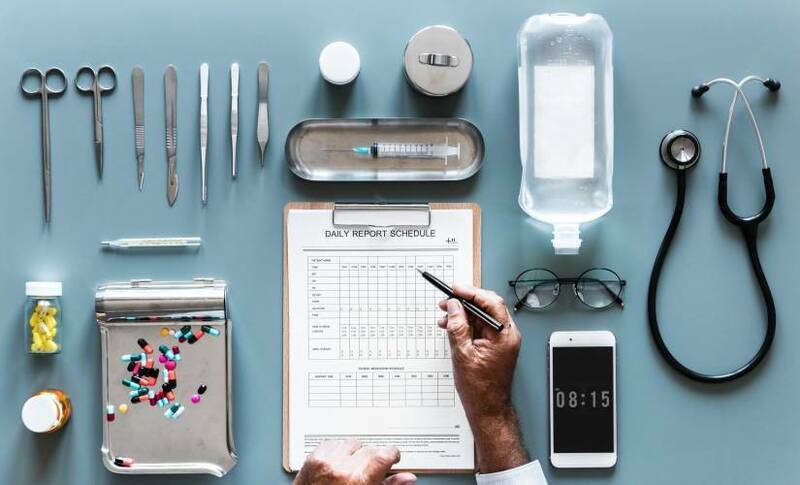 Medical technology gives patients and caregivers easy access to more data than ever before, and the real-time connectivity options have never been faster. Given the shifting demographics of society, this push to spark healthcare innovation is coming at a perfect time. Baby Boomers are aging and will require more medical attention moving forward, and the U.S. has a shortage of healthcare workers. Countless pundits blame artificial intelligence for displacing human workers, but technology has become the best way to supplement the massive gap of skilled laborers in the healthcare world. Fitness trackers and other wearables are starting to achieve market penetration. According to some estimates, nearly 20 percent of the population — about 50 million Americans — is expected to use a wearable at least once a month this year. Part of this growth is because wearable technology is more affordable than ever before. The average American spends $10,739 on healthcare each year, so why not fork over a few hundred dollars for a device that can help lower that cost? Technology companies like Apple and Samsung are embedding medical-grade sensors into these consumer devices with hopes of making their products a core element of users’ health and wellness. Many of the services these devices can offer would amount to expensive procedures with time-consuming travel to a traditional hospital. Instead, users can receive these services from the comfort of their own homes. As the healthcare world sees a wealth of innovations on a daily basis, the FDA has been taking steps to vet these new technologies better. The FDA must determine whether these sensors, along with technologies like Bluetooth, Wi-Fi, and the IoT, are precise enough for approved medical use. While the FDA has made a lot of progress in terms of vetting technology, it has not been an easy road. Even when technology reaches the point that it can benefit consumers, the challenge is far from over. Roadblocks thrown up by healthcare providers and insurance companies threaten to hamper this promising technology, but there are ways to move beyond these lingering issues. Medicine tends only to benefit those of us who can afford to pay for it. While society and the government have earned a share of the blame for this problem, insurance companies are also guilty. Insurers do not cover the cost of these devices for their clients, which means many consumers are unable to enjoy the benefits of these technologies. Worse yet, a lack of insurance coverage ends up pushing physicians to avoid using many cutting-edge technologies. When insurance companies refuse to pay for a treatment or service, doctors lean on the old way of practicing medicine rather than push the field forward. It isn’t all on insurance companies, though. Healthcare providers also have played a role in holding these devices back by clinging to dated practices. One study found that healthcare organizations tend to lag behind their counterparts in other industries in terms of digital maturity. Healthcare administrators have been slow to integrate these technologies into their hospital systems, which means physicians are not able to remotely monitor the health and wellness of their patients. The good news? Over time, these advanced devices and technology will become more affordable as they gain wider adoption and competition leads to downward price pressures. That will undoubtedly fix many problems related to affordability, but we still have a lot of work to do. Affordable healthcare that works should be a priority for everyone, and the preventative healthcare that modern technology enables is the best way to achieve that. Stopping heart disease, cancer, and other significant diseases long before they become a problem is far cheaper than treating the symptoms as they surface. A 2010 study suggests we could save more than $3.7 billion in healthcare costs annually by embracing routine preventative services. Technology is the key to bringing intuitive, preventative healthcare at affordable costs to the masses. The race is already in full force, and digital health already had a massive presence at this year’s Consumer Electronics Show. Technology is ready and able to transform the way our society approaches healthcare — we simply need to change the way medicine operates to make the most of this technology. Marc Fischer is the CEO and co-founder of Dogtown Media, a mobile technology studio based in Venice Beach, California, that was named by Inc. as one of the fastest-growing companies in America.